This script attempts to mimic the battle system of the Earthbound/Mother series; most notably Earthbound and Earthbound 2 (Mother 2 and 3). 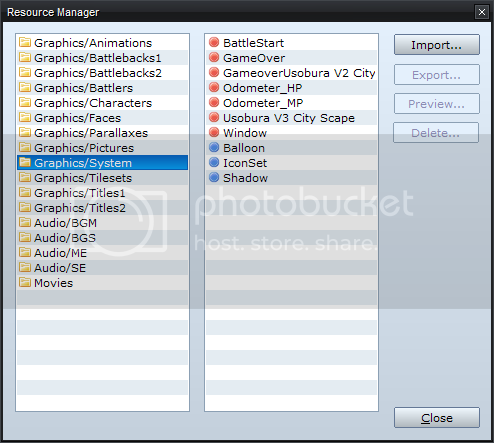 Easy to customise with various addons. Essentially lag-less (may lag for older computers). See the script for instructions. The script is virtually plug and play, minus the need for the odometer graphics if you decide to use the odometer add-on. My template for an odometer graphic is attached. # series; most notably Earthbound and Earthbound 2 (Mother 2 and 3). # below Materials. Edit the modules to your liking. old_enemy.sprite_effect_type = :select_white_to_normal if old_enemy && !old_enemy.dead? # that much more intense. Odometer_Roll_Speed = 4 # Smaller speeds are faster than larger speeds. # where active actors bobbed up and down the screen. Earthbound, for being such a great game. Post below and I'll try to be prompt in my response. Please don't try and combine this with other battle systems. Wow, this looks great cozzie. I can't wait to try it out. Gotta try it. Kudos. I was going to attempt it, myself. This is a pretty cool script. Though it's probably because I'm just a Mother 3 fanboy . Anyways, in the future do you think it will be possible for you to make an add-on to this script where the "mortal damage" effect from Mother 2 and 3 is added? If you don't know what this is or you simply forget this is how it works: after taking damage that is more than your current HP on the odometer (for example you have 30 HP and the enemy casts an attack that deals 45) the screen shakes, makes a noise and after the enemy's attack is finished the text ____took Mortal Damage appears. I think I'm doing something wrong. So it's telling me that I don't have the Hp and Mp odometers? @qwertyu: Thanks for the kind words! I'll consider adding a "mortal damage" feature in the future. @Boe: Hmm.. That's weird. The error has nothing to do with the graphics. It's most likely an incompatibility with another script that you have, probably one that changes the way actors behave in some way or another. If you're not using any other scripts, or you can't find the incompatibility by yourself, then send me a copy of your project and I'll see if I can fix it. For some reason it wanted to be above the Sprite Display. I just changed the order and now it works. Glad you could resolve it. Still unsure why you got the problem, but its nice that everything works fine. Sorry for Necro posting because this is a good script and i was having a few errors with it. Anyway for some odd reasons,lets say their are 3 monsters in an encounter and 3 party members.When i choose one monster out of the three as a target for my individual party members the battle just kinda freezes and stops responding to button commands. What i mean is i choose party member A to attack monster A,party member B to attack monster B and party member C to attack monsters C.As soon as one of the monsters dies the battle freezes.This doesn't happen if you gang up on one monster or battle with one party member. The other thing is resolution.When you increase the resolution to 640 x 480 the characters get offsetted from the stat boxes and they kinda float in the air....is their a way to safely edit sprite positioning? And the other thing is,is it possible to reduce the odometer digits from 4 to 3? I have a semi fix for the sprite position problem and have managed to reduce the odometer to 3 digits. So after playing around with the battle system i realized a few other bugs in the script and they all deal with the odometer. 1: The odometer Keeps rolling after death.When the character loses all hp it will roll until all the damage that would have taken is rolled down.I need to make the script stop rolling at 000 HP reached...If anyone has any tips or ideas to achieve this please post them here. 2:If damage was rolling on the odometer and the battle ends,when a new battle starts,i continues to roll until the damage from the previous fight is rolled down.This obviously needs to be fixed lol.I need damage to stop being taken when a battle ends.Any suggestions would be nice. 3:State damage such as poison don't roll down the odometer they just subtract the HP like regular damage would. If anyone can poke around in the odometer script and see of they can come up with a fix It would be greatly appreciated! In addition to the problems mentioned above their are a few more glaring issues. The first deals with healing skils....When a healing skill/item is used on a party member with full HP,the odometer forces itself to spin and repeatedly show the current HP and 1 HP lower.In other words..in the same way the odometer doesn't stop rolling after death it also doesn't stop rolling when healed to full HP. The second deals with MP.When an MP skill is used the MP odometer doesn't roll at all unlike the HP bar,it just subtracts like normal. Cause of problem seems to be related to the battle core, as disabling just that script causes battles to function... with the odometer and the sprites (the sprites don't appear because they're obscured by the GUI). And yes, I am using this with VX Ace. Are you using any other scripts that change the icons or the way the bs looks. What this error is saying is that your icon_index = nil. Meaning an icon is being drawn out without an index. This might have happened if another script over-writes that same method that is why I asked if you are using any other scripts. I require half of the total cost of any projects up front and the other half before completion. your resources will be resold and no money will be refunded. One thing I noticed is he rewrote draw item_rect and didn't pass the index to the super. I don't know if that will fix it or not though I can't test it out from here. OK, well I just tested it out with just the battle core and the sprite add-on and it works fine. Do you have the battle core above the other scripts in your list? Also they should all be in-between the materials section and the main processing section? Yes, running just the EB scripts still gives me the error, too. I asked if you were using any other scripts and you are. A couple of them might be your problem. Also I noticed you have an Event Jitter Fix script outside of your materials section. I would move that and any others below the materials section that could also create problems in the future. Try removing the battle back stretch script and see if you still get the error. I asked if you were using any other scripts and you are. No, you asked if I were using any other scripts that changed the graphics. Also I noticed you have an Event Jitter Fix script outside of your materials section. Please don't scan my posts. You're wasting time. Did I miss something... I'm not trying to make bad juju and I'm not scanning your posts. I was trying to help, but I've wasted my time wasting your time apparently. I did see that you said that, but I tested it too with just the EB scripts, WITH NO PROBLEMS. If you don't want to get it to work that's fine with me. I'm sorry if you felt I was wasting your time. I could have helped you get it too work too or even set it up for you ( I do write scripts for a living and all ). Oh well, Good luck. If you change your mind you can always PM me. I could have helped you get it too work too or even set it up for you ( I do write scripts for a living and all ). Seriously, You've been a member of this site for 2 days??? I don't know what do you mean by "Troll? ", your thoughts are backwards, I was just trying to help someone I thought needed help. I even offered to still help you after your rude comment and the offer still stands. I wasn't saying I write scripts for a living so you can note my intelligence, I said that so you can regroup and realize your biting a hand that could possibly feed you. Well what can I do that I haven't (or possibly) already done? As you can see placement does make a difference. I'm not saying that this will fix it but it's a start. You have to make sure you scripts are in order. All I can do is troubleshoot without having all your scripts. If that still doesn't work you can PM me a demo of all the scripts your using and I will figure out the problem for you. Really though, no hard feelings I'm just trying to help. I know how frustrating it can be, even more so when you find out your just missing a small detail. vindaca's just trying to help you, and being very gracious about it at that. There's no call to be rude. They didn't get the same error I did and doing that doesn't work either. I'll PM you a demo once it's made and uploaded. Page created in 0.734 seconds with 25 queries.